Frank and Betsy are a team! Frank, an award-winning producer and songwriter and his wife, Betsy, a unique vocalist who brings her own experienced songwriting and scripting talents, collaborate on all their projects. Their contributions to Christian children's music have proven invaluable to parents, teachers and children alike. Their teamwork can be found on many best-selling children's recordings effectively influencing thousands of children and adults worldwide. Betsy was raised in Jerome, Idaho, where she made a decision to follow Christ at the age of 15. Frank was a lapsed Catholic teen in Anaheim, California who, after playing and touring with bands and battling with drugs, alcohol and at times, deep despair, committed his life to Christ at the age of 21. After traveling and recording with Candle for years, Frank and Betsy married in 1979. Then in 1980 the popular contemporary Christian music group, Silverwind, was formed with Betsy as one of the lead vocalists and Frank as bass player. Back on the road again, they traveled internationally for 5 more years. Their first child, Evan, was born in 1984, between tours. Meanwhile, Anthony Paul Productions, a multimedia division of Agape Force had been created. After life on the road, Frank became vice-president of production and Betsy continued as a song and script writer and singer. Their projects for Agape Force and Anthony Paul yielded seven Grammy nominations for Best Children's Recording and won three Gospel Music Association Dove Awards. Two releases, The Music Machine and Bullfrogs & Butterflies were certified platinum and gold, respectively. Their creative input can also be seen and heard on many other projects including The Bible: The Amazing Book and other children's series such as Pleasant Dreams created for Worlds of Wonder and Little Clowns of Happytown, seen on the ABC television network. They welcomed the birth of their second child, Tiffany, in 1987. In 1989, after 15 years with Agape Force and Anthony Paul, Frank and Betsy moved to Nashville, Tennessee and began writing and producing for the EMI Christian Music Group. Shortly after arriving, Betsy's pristine vocals were recorded on Michael Card's best-selling, certified platinum, lullaby album, Sleep Sound In Jesus. Then followed the Dove Award-winning Hide 'Em In Your Heart featuring Sparrow artist, Steve Green. Designed to teach children scripture through song, the simple, easy-to-understand musical memorization technique has made the ensuing CD and video series one of Sparrow's best-selling children's releases of all time. Videos I & II were certified 'Gold' in June 1998. 1996 saw the release of Guideposts Junction, a 6-part video series created by Frank and Betsy for Guideposts Magazine, and starring Jodi Benson, the voice of Disney's Little Mermaid. The Adventures of Prayer Bear came next as a valuable tool for parents, teaching children what prayer is and where, and how to pray. Best Friends, the first video in the series has been certified platinum in sales. Throughout their 11 years in Nashville, when not in production mode, Frank continued fulfilling his call to ministry by leading children in worship, developing kids choirs, and serving part-time as a Children's Pastor. Of course, this led to writing more songs helping kids to express their love and trust in God in their own kid-like language. In 2000 Kids In Worship was released, receiving a Dove Award for Best Children's Music in 2001. The year 2000 saw a dramatic change for Frank and Betsy's ministry and family. Once again they felt called to pursue full-time Christian service. That pursuit led them to Bothell, Washington, where they eventually served at Eastside Foursquare Church, gaining valuable experience regarding music ministry and the needs of the local church. 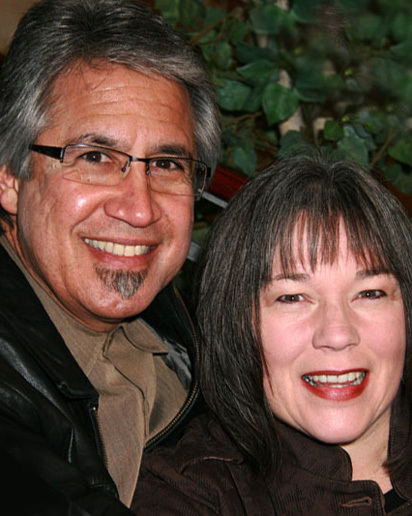 Focusing their sights more specifically on children's ministry, in 2006 Frank went on to serve as the Children's Worship Arts Director and Associate Children's Pastor at Christian Faith Center, a mega church in the Seattle area. Once again he began writing new songs for children's worship, for kids' choirs, and summer camps! It didn't take long for the Hernandi to realize they couldn't hold back the passion to create resources to bless the body of Christ. Frank and Betsy now live in Boise, Idaho (close to Betsy's family!) developing His & Hernandez Music, writing and producing songs and continuing to seek opportunities to help families, churches, and children's workers bring kids closer to Christ through music! Frank is also on staff at Captial Christian Center in Meridian, Idaho, where he serves in full-time ministry. We believe that scripturally-based songs can be among the best tools to help children as they grow in "wisdom, stature, and in favor with God and men". Our mission is to write, produce and distribute songs that will encourage children to know and love and worship God and to be like more Him. Parents, may our songs be valuable resources to you as you seek ways to help your kids recognize God's awesome presence and love in their lives. As you can see Frank has many years of experience leading adults and kids in worship, directing children's choirs and writing effective music that helps kids connect with the heart of God. It's his desire to encourage others in developing their ministry gifts so their efforts to draw kids closer to Christ through music will be even more successful. Lead your kids in fun, responsive and genuine praise and worship, using songs found on this website. Conduct workshops on "Leading Kids in an Effective Worship Experience". Consult with those wanting to develop or improve their Children's Choir program. For booking please refer to the Contact page.